With your support, we were able to knock more than half a million doors this election season, make thousands of phone calls and send a million emails, engaging hundreds of thousands of voters. 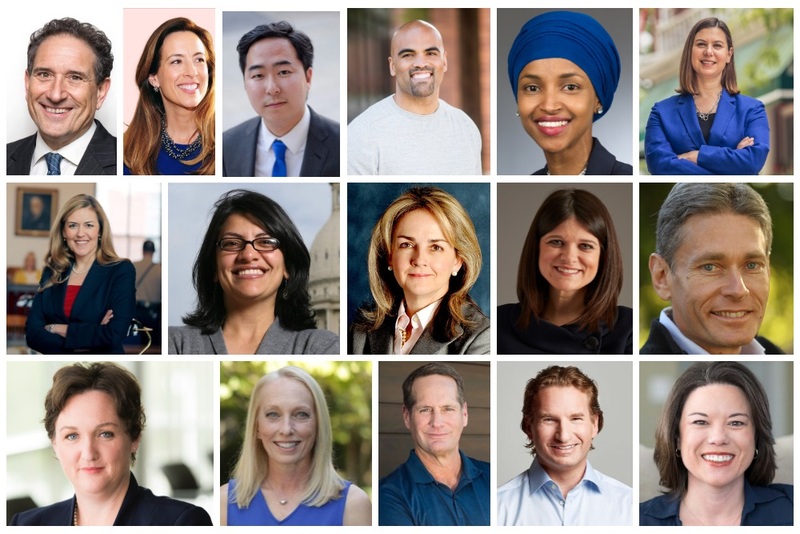 We helped elect newcomers like US Representatives-elect Mikie Sherril, Mike Malinowski and Andy Kim in New Jersey--Angie Craig, Dean Phillips and Ilhan Omar in Minnesota--Haley Stephens and Elissa Slotkin in Michigan--and Madeline Dean and Mary Gay Scanlon in Pennsylvania. We helped elect Gretchen Whitmer and Tim Walz as Governors in Michigan and Minnseota, and had a big hand in the re-elections of Governors Tom Wolf in Pennsylvania and Gina Raimondo in Rhode Island. Plus we helped elect dozens of new pro-environment state Representatives and Senators (and re-elect dozens of champions), flipping the Minnesota state House to pro-environment control and narrowing the gap in Michigan and Pennsylvania. Thanks to everyone who helped make that possible. Our amazing staff did great work, and the financial support and volunteer hours from our supporters gave us the resources we needed. All of this, plus your vote on Election Day for “green” candidates were critical steps in starting to turn the direction of this country around. Unfortunately, we’re not done yet. The US Senate remains in the control of Sen. Mitch McConnell with a 7% voting record on the environment. And President Trump and his appointees leading the Environmental Protection Agency and other federal departments are still determined to do the bidding of polluters and weaken protections for our water and air. We're celebrating this week, as we should, though we can't get too comfortable. We might have momentum right now, but we have to keep it. The only way to do that is to keep doing what we do best -- organizing and mobilizing people across the country and holding our elected officials accountable to their promises. Thanks for your support this year, and I look forward to working with you next year to take advantage of our election wins and move forward protecting our water and health.